[Via Satellite 07-17-2014] To replace the Russian-built RD-180 engine it would take the United States government a minimum of eight years and approximately $2 billion, said Alan Estevez, principal deputy under secretary of defense for acquisition, technology and logistics at the U.S. Department of Defense, at a joint hearing between the Senate Commerce, Science and Transportation Committee, and the Strategic Forces Subcommittee of the Senate Armed Services Committee. 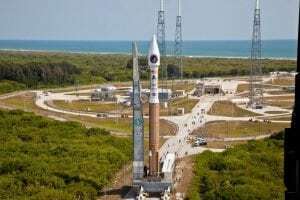 In light of comments made by Russian Deputy Prime Minister Dmitry Rogozin, suggesting the country might cease to sell the engine for use by the Pentagon, Congress is evaluating alternatives to the engine, which powers United Launch Alliance’s (ULA’s) Atlas 5 rocket. This vehicle delivers roughly two thirds of the Air Force’s manifest through the Evolved Expandable Launch Vehicle (EELV) program, according to General William Shelton, commander of Air Force Space Command. While ULA, a joint venture between Boeing and Lockheed Martin, has a reserve stockpile of 15 RD-180 engines, if Russia were to discontinue sales, this would equate to a roughly two year supply for Atlas 5 launches, Shelton said. Congress, unnerved by statements from Russia regarding the engine, has expressed strong interest in building a domestic alternative. However, there is no clear plan on how to do this. The House of Representatives has requested $220 million in funding to start the replacement process. The Senate Armed Services Committee’s recently passed version of the bill included $125 million for an “additional competitive space launch.” Any early funding would be the first step in a long-term project, for which Sen. Ted Cruz, R-TX, described the cost as “staggering” but necessary. Retired Air Force Major General Howard Mitchell, VP of program assessments at The Aerospace Corporation, said it would take time to invest in technology capable of replacing the engine, because currently there are no U.S. companies capable of full-scale development. The Government Accountability Office’s (GAO’s) Director of Acquisition and Sourcing Management, Cristina Chaplain, stressed the importance of laying out a more robust roadmap, including deciding if the new domestic engine would power the Atlas 5, or if it would end up demanding an entirely new rocket. In light of these high costs, experts also discussed alternatives to replacing the RD-180 as well. Not everyone agreed this would be possible. Currently, SpaceX remains the top alternative, but the company is not yet fully certified to launch Air Force payloads. The company is suing the Air Force over the purchase of 36 uncompeted rocket cores. Shelton said the Air Force plans to have full and open competition by 2018. He added that while U.S. policy makers are critically evaluating Rogozin’s statements, Roscosmos is continuing with “business as usual,” and that there have been no signs of terminating the supply of RD-180s. “If we can continue to purchase RD-180s, that is the most economical approach, no doubt about it,” said Shelton. Sen. John McCain, R-AZ, who recently filed a letter inquiring about ULA’s engine purchases, took issue with Shelton regarding the SpaceX lawsuit and the limited number of competed launches. The Senator cited ULA’s breach of Nunn–McCurdy, where the company’s costs rose to the point that it was required to notify Congress. He expressed adamant concern that high costs associated with ULA launches should call into question the company’s role in the EELV program. Sen. McCain alluded to the scandal regarding former Boeing CFO Michael Sears, who illegally offered a career to a former Air force Darleen Druyun during negotiations in a $23 billion aerial refueling tanker deal. “I don’t predict, but … a few years ago there was a situation concerning the Air Force tanker and I didn’t like it at the time. I fought against it at the time, and people went to jail, and people were fired. I don’t like this deal. I don’t like the fact that we are now going to have basically, maybe three or, if Congress has its way, four competitive space launches given to an outfit that has breached the cost overruns to the point where it required notification to the Congress of the United States,” he said. ULA is currently researching alternatives to the RD-180 with several U.S. companies. 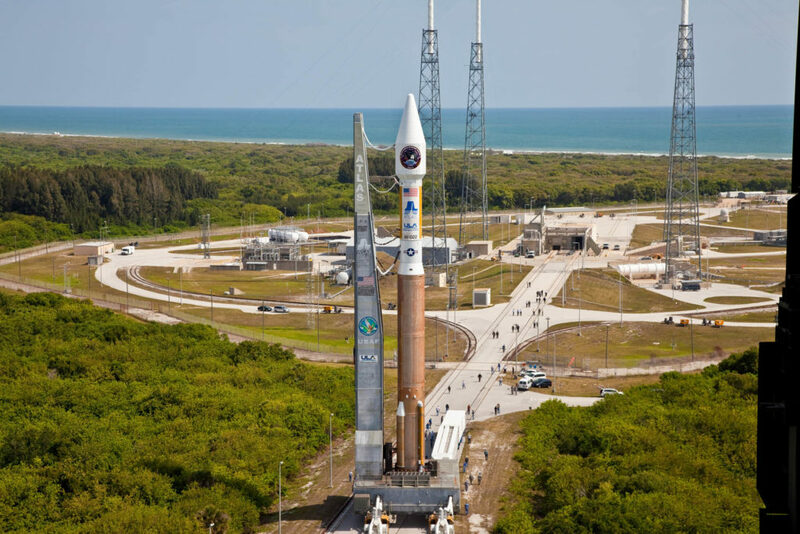 The launch services provider is also examining the possibility of manufacturing the RD-180 domestically. The company expects to make a decision on a new engine provider by the end of 2014, which would pave the way for a first launch with the new propulsion system by 2019.